Released on: July 10th, 2018. 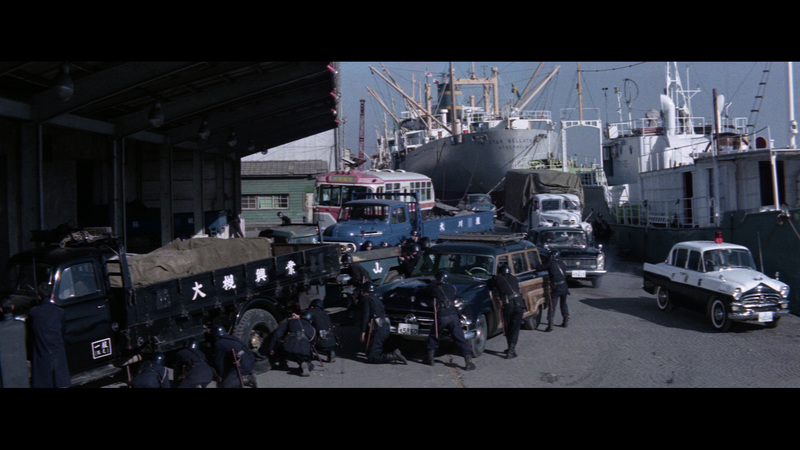 There's a gang war raging in Tokyo. Illegal guns are arming both sides. 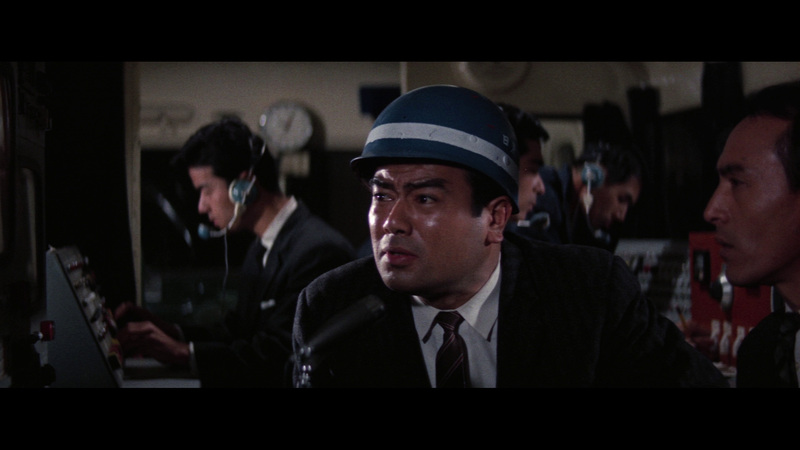 It's up to Hideo Tojima of the titular Dectective Bureau to put an end to it in this 1963 action fest. He goes undercover, attempting to learn the secrets of the gang and uncover their weapons supplier. The movie has a swagger that only movies from this particular era have. 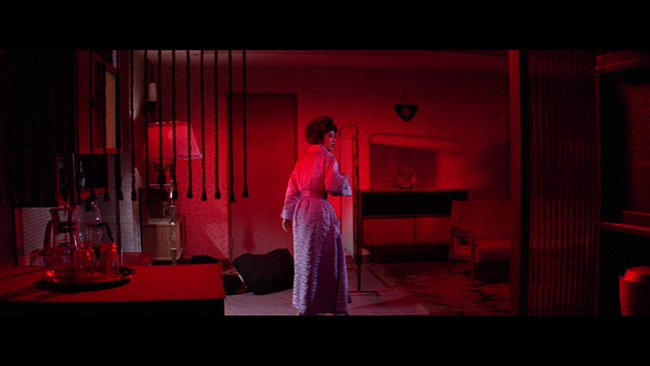 Swanky lounges, car chases, gun fights, hell, even a musical number. It's all here. Despite the films subject matter, it somehow feels more like a old Vegas caper than a shoot em up - more Rat Back than Bond. Jo Shishido brings a no nonsense 60s swagger to the role of Detective Hideo Tajima. Like any good cinema cop of this particular era, Tajima smokes, drinks, shoots, and punches his way through the case - that is, when he's not screaming through Tokyo in his ultra cool sports car. 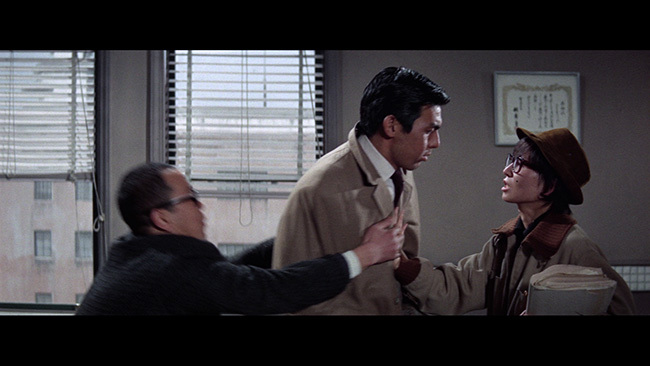 He's assisted in the case by his two trust assistants, both played to great comedic effect. One is a gangly, over earnest klutz who comes across a bit like Dwight from the US version of "The Office". The other is a mousy but aggressive purveyor of facts. 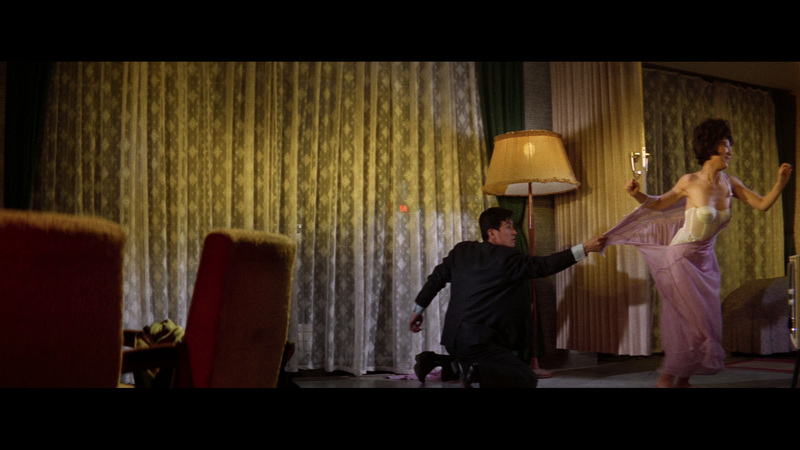 A majority of the movies comedic scenes come from their interactions. 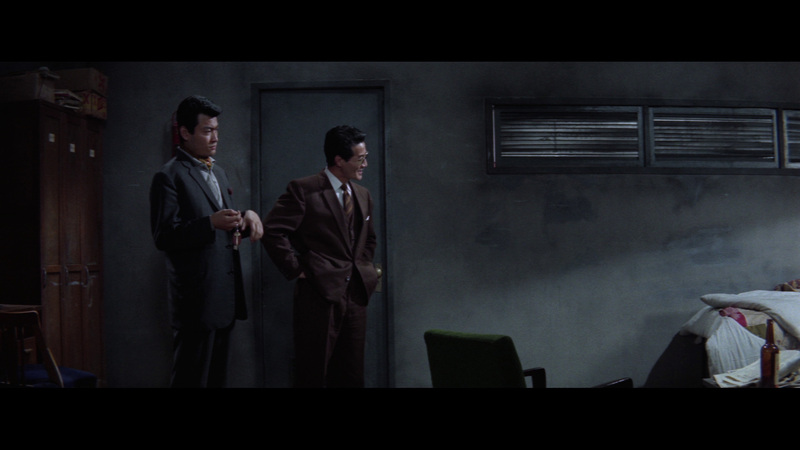 The film does touch on the US occupancy of Japan (the weapons are stolen from a US military base), but the underlying vibe is that of a smooth, swingin' caper. 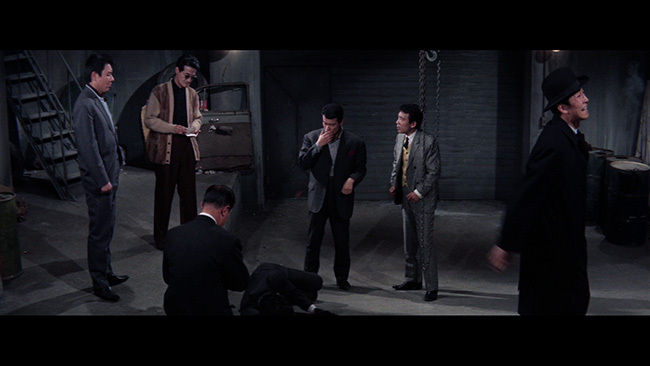 It drags a bit in parts, but ultimately has enough goofy action to keep most viewers entertained. And as a glimpse into early 60s Japanese cop/gangster movies, it's a must see. Detective Bureau 2-3: Go to Hell Bastards! 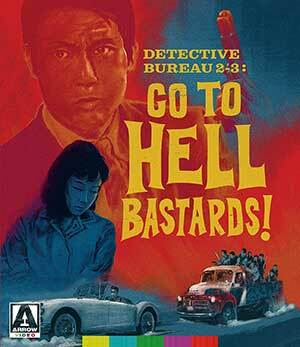 - Blu-Ray Review"
First things first - for a relatively obscure 56 year old movie, "Detective Bureau 2-3: Go to Hell Bastards!" looks great. It's presented in AVC encoded Hi-Def 1080p and the picture, framed at 2.45.1, is clean and sharp, lacking the flaws and graininess that many films from this era have. The audio is in Japanese language LPCM 2.0 and sounds great. Dialog levels are fine and the sound lacks any clicks or pops. 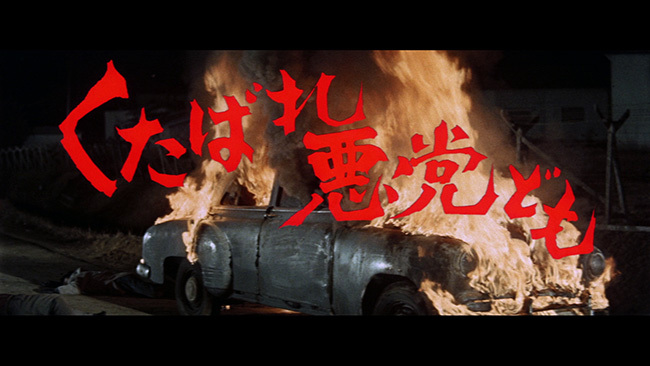 Optional subtitles are provided in English only. The Blu-Ray also includes a photo gallery and a twenty-nine-minute featurette by Tony Rayns. 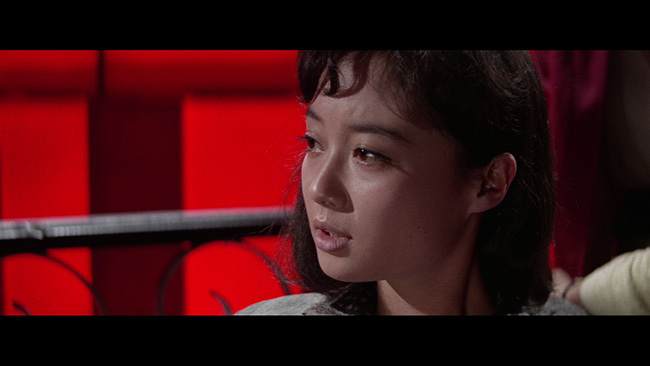 Mr. Rayns gives a quite in-depth and scholarly lecture on the movie as well as 1960's Japanese cinema in general. If you're looking for a 1960's Japanese crime romp that is a little deeper than it's title might emphasize, this is your movie. It looks and sounds beautiful, and the included featurette is a great glimpse into Japanese movie making of the period. Click on the images below for full sized Detective Bureau 2-3: Go to Hell Bastards! Blu-ray screen caps!